I met Lauren James last year several times during YALC weekend - first as a group of authors and bloggers got together to see an outdoor screening of Labyrinth, and then during the convention itself which was fantastic. (BTW, this year's has just been announced - go check it out!) I've spoken to her a couple more times since then and I'm hugely looking forward to her debut novel The Next Together which is coming up from Walker Books and looks amazing - so I'm thrilled to be one of 10 bloggers (I think that's the right number!) revealing her stunning cover today and presenting a short extract as well! 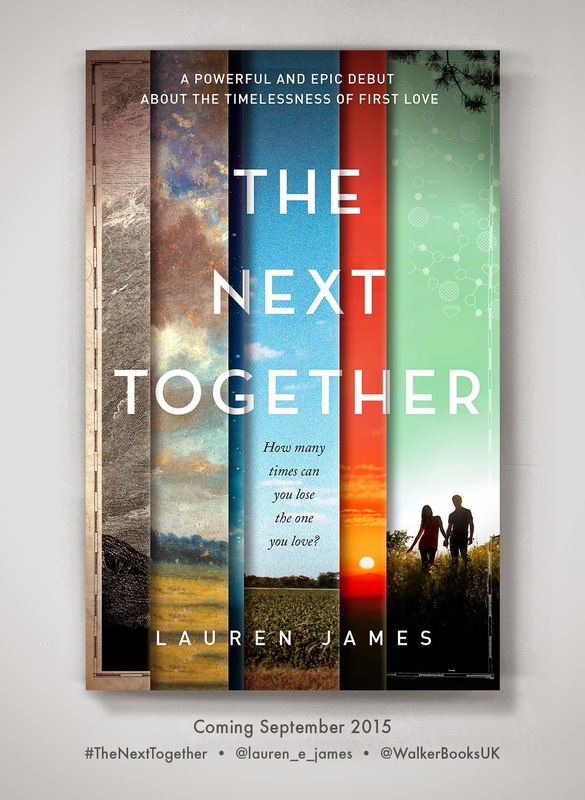 The Next Together publishes in September 2015 (Walker Books) and can be pre-ordered now. How many times can you lose the one you love?